Like any other part of the home, doors can be insulated and draught-proofed to prevent heat from escaping which ultimately will help reduce your energy bills. Choose the appropriate door sweeps and thresholds for the bottom of the doors. Always try to use one continuous strip along each side. Make sure the insulation meets tightly at the corners. Use a thickness that causes the insulation to press tightly between the door and the door frame when the door closes. 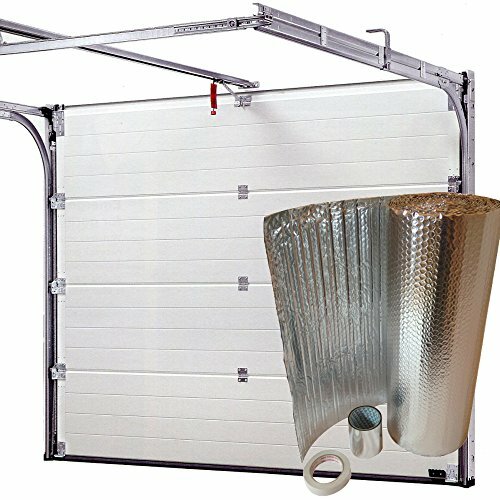 Don’t forget to insulate your garage door too, this is especially important if your garage is attached to the rest of your house, whereby it can quickly drop the temperature within the rest of the home on a cold winters day. Premium Material- The seal strip made of environmentally friendly silicone is non-toxic, high quality, stick enough, anti-deformation, heat and cold resistant. This is harmless for your family. 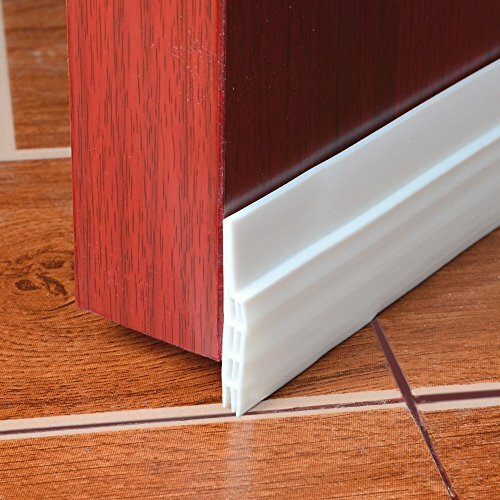 Multi function- 3 Layer Hybrid Design Door Bottom sealing strip prevents water, Windgetriebener rain, snow, dust, dirt and leaves come and under the door of your home and its contents clean and dry. 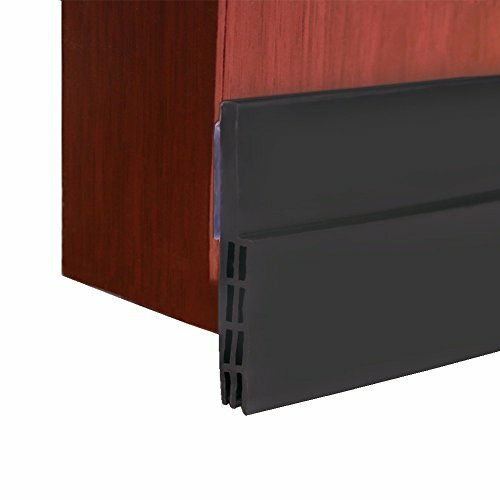 【SAVE MONEY AND ENERGY】Our Door Bottom Seal is the most efficient solution to stop the heat from escaping during winter and great stoper to keep in the cold during summer.Makes heating and cooling your home or office more efficient , help you reduce electric cost so as to save you energy and money. 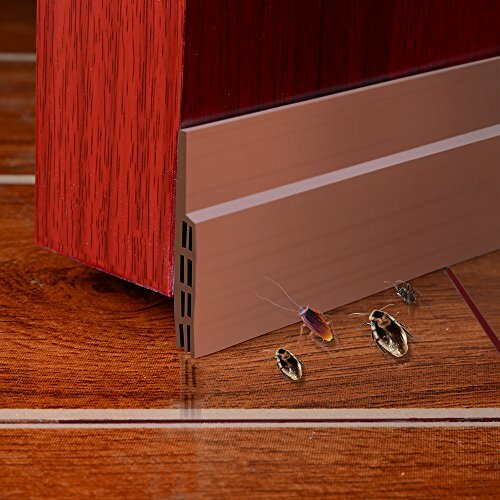 【KEEP NOISE AND BUGS OFF】Soundproof Three layer design, reduce annoying sound up to five times and keep out dust and bugs, cockroaches, spiders, away from your home for good. It can seal gap of 0 to 1-3/32″. 【ONE SIZE FIT ALL DOOR】Measures approximately 2″ Width x 39″ Length.Can be used on interior and exterior doors of all types.Fast and easy installation within 2 minutes.Can also cut to different size according to your need. Environmentally friendly Silicone. Heat and cold resistant, not easy to be deformed and crisp. Three layer design, reduce sound up to five times and block the cold and hot air cross which also help you reduce electric cost.